Banks, insurance companies, investment firms, and all other big corporations want to hire top-notch financial analysts for their teams. This rewarding career attracts a lot of young people, who will study for years to earn their Masters Degree in Finance, or Economics. All of them will compete with you for the best jobs. Statistics show that more than ten people apply for every single financial analyst job opening in the United States. Ten applicants (or twenty, or thirty, if we talk about the most popular employers), and just one job contract. Will it be you who succeeds in an interview? Why have you chosen our company? Are you familiar with ad hoc analysis? When did you make your first financial analysis? How did it go? What methodology do you use in your analysis? Have you ever used profitability models? Where do you see the stock markets heading in the near future? What reporting methods do you use and why? What do you consider the biggest mistake you have ever made as a financial analyst? The typical interview process consists in screening, behavioral, and technical (job-specific) questions, and one or two personality tests. You can complete all of these tests in a single, long interview sessions, or they may split it to a few rounds of interviews (phone interview, screening interview, second interview, etc). But it is just a question of a form. You will always deal with the questions, and tests. And if you want to succeed and get a job, you should prepare for all all of them. 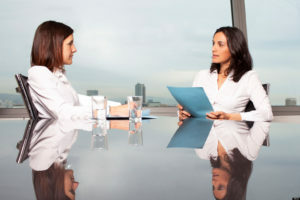 The interviewers want to understand your motives. Have you chosen this career just because it pays well, and offers a relatively convenient position, in a nice and clean working environment? Or do you apply becasue you really enjoy doing the things the financial analysts do on a daily basis, or perhaps even becasue you see some meaningful purpose in this job? In your answer you can focus on your analytical and computing skills, on your passion for numbers, or for finances in general. You can also mention your education in the field, and your knowledge of financial analysis. And if you see a meaningful purpose in this position (which I can not see, but it doesn’t mean there doesn’t exist a purpose, since whether a job has a purpose or not depends mostly on our point of view), be sure to mention this purpose. Browse the major job boards on any given day, and you will find at least ten job openings for financial analysts, in every big city. While it is perfectly natural (and logical as well) to apply for at least a few of these offers (each recruiter and HR manager is different, and if they do not like your application in one company, they may invite you for an interview in another one), you should try to convince your interviewers that their company is special for you, that you chose them on purpose. Spend a couple of hours checking their website. Use LinkedIn to find the profiles of other financial analysts who work for them. Search for these people on social media networks. Try to find out more about what they do, and how they feel about their jobs with the company. Basically you should search for things you can compliment, things you can praise your interviewers for. It can be great working environment, an outstanding reputation of the company, a preference for their brand, good location of their offices, etc. One way or another, you should try your best to convince HR managers that their offer is your first choice for a job. Technical questions, such as this one, are not really my expertise. 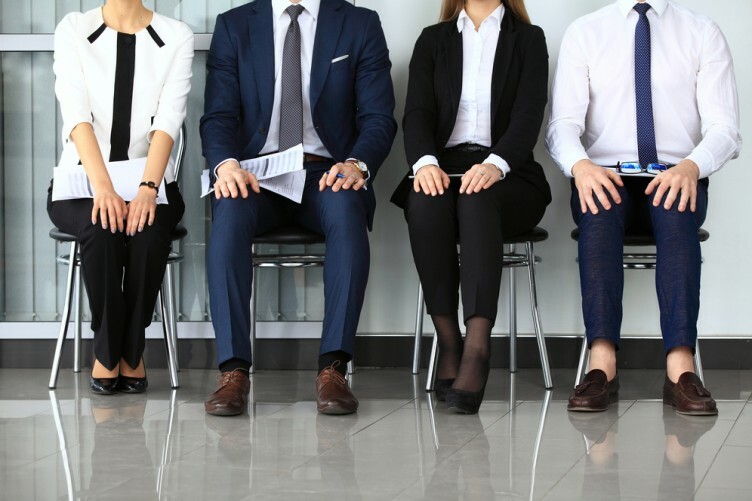 But I can certainly say that the level of their technicality, and complexity, will depend on the person who leads the interview with you, as well as the job you apply for. Interviewing for a job with an HR generalist differs to a final interview with a senior financial analyst. And applying for an entry level position in a big corporation differs to the interview for an intermediate FA role, in a smaller company. One way or another, you should give a clear answer to the question, saying what ad-hoc analysis is, and elaborating on it with an explanation of how it has helped you in your work. Special Tip: Do you like the analysis of the questions? In an eBook from our guest author, Jeremy Hopkins, you will find analysis and great sample answers to twenty most common financial analyst interview questions, together with winning interview strategies. If you apply for an entry level FA job with one of the Fortune 500 companies, Jeremy’s eBook is a must read. You can find it here: Financial Analyst Interview Guide. This question tests mostly your attitude to job, and your motivation. Do you still remember your first (first analysis, not a first girlfriend:))? Can you recall the details? Do you have enthusiasm in your voice, while narrating the experience? Your answer to this question should help you to demonstrate your passion for the field of financial analysis, and your understanding for it. Try to narrate the details such as why you analyzed the data, what your goal was, how you did proceed to achieve it, things you learned along the way, etc. Another question that borders the technical aspects of this job. Unless you speak to an HR generalist, you should use terminology, you should show them that you know how to do the job, and that you follow a certain way of analyzing data. Once again, good pre-interview research can help you to find a great answer to this question. Perhaps you manage to find information about their style of work, and what they do in the company, the methodology they prefer and follow in their analysis. If it is a case, you can mention the same methodology, sending them a clear sign that you will fit into their team and working environment. A behavioral question. Interviewers try to understand your real level of experience. In a good answer you should narrate a situation when you (successfully) used the profitability models, and how they helped you with your analysis. Good analyst should have some knowledge of the markets. Be bold in your predictions, show them that you have an opinion, that you do not just wait for the others to tell you what to expect. Great analysts are ready to work independently, to come up with new ideas, and with new approaches to the analysis of data. Your predictions do not have to come true later–and nobody will really remember them one week after the interviews (unless you predicted somethings crazy). The key is simply to show them that you have your own opinion, are interested in the stock market, and understand how it relates to your work, and to the business of your employer. Another technical question, please check the answer to “Are you familiar with ad-hoc analysis?” question, the third one we have analyzed on this page. You should always keep their business on your mind. When speaking about doing your job, your methodology, and your approach to financial analysis, try to connect your methodology of work with the goals of their company. For example, you can say that you use a certain methodology because your experience (or collective experience of modern day analysts) proves it most accurate, and will help them to take the right decisions, and achieve better results (higher profits of the company). Financial analyst interview guide (external resource) – Jeremy Hopkins, a reputable interview coach from Georgia, wrote an excellent eBook which offers great answers to all common interview questions you can deal with, while trying to get a job of a financial analyst (including both technical and non-technical questions). Get it to gain an competitive advantage in your interview. Resources.workable.com/financial-analyst-interview-questions (external resource) – Interview from another perspective. 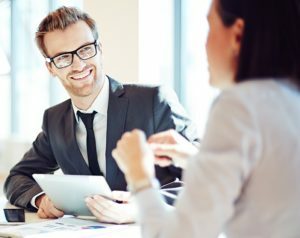 If you are an employer trying to hire new analysts, but struggle to come up with the right template of interview questions, you should check the one Workable.com offers. You can actually download the template for free, and use it immediately in your interview. 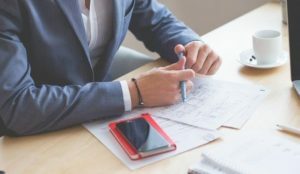 Udemy, Financal Analyst Course (external resource) – If you struggle with answering the technical questions, or do not feel quite ready for your interview yet, you should have a look at the Udemy Financial Analyst Course. They make a slight update each year, to keep the information relevant, and many people left excellent reviews on this particular course. Try it out and improve your skills. Finance and banking interview questions (our article) – You can check also interview questions and tips for other positions in the finance and banking sector, such as bank teller, investment banker, private equity, etc. How to answer interview questions (our article) – It is not only about what you say, but also how you say it in an interview. An interesting insight on the art of interviewing for a job.